What do Australians do during the summer? Aside from keeping themselves cool and comfortable in their air-conditioned homes, Australians love to go swimming. They either spend their weekends at the beach to get a tan or have friends and family over for a backyard barbecue and some swimming time with the kids. Unfortunately, swimming has its disadvantages. According to reports, children ages one to four years have died from unintentional injury while one third of them died because of drowning. And guess what? Most of these drowning accidents take place in home swimming pools. Do you know that drowning is accountable for more deaths among children ages one to four years old than any other cause except for birth defects? Can you just imagine a leisurely activity turned into a tragic disaster just because you weren’t cautious? It’s a tragedy no one would ever hope on anyone but in reality, these things do happen that is if you don’t add a safety feature in your backyard. There is a solution that can help stop unnecessary injuries and drowning accidents from taking place and that is through the installation of glass pool fences. Most of the time the reason why these accidents take place is because no one was there to watch the child. Well now, even if you are a couple of steps away from your kid, you can still watch them from where you are if you install glass pool fences around your pool area. This is by far the best solution to stop accidental drowning from happening and it is something that you can afford. If you can afford to have a pool in your backyard then we are assuming that you too can afford a reasonably priced glass pool fence to protect your children. The amazing thing about having a glass pool fence in your home is that not only will it keep your children safe from slipping and drowning, it will also increase the value of your home because of its sleep and modern design. And the best part about it is that it is designed to adapt to any architectural home style. So whether you have a contemporary home, a modern home or an oriental home, your glass pool fence will blend right in. If we’ve finally convinced you to get a glass pool fence, there are a couple of things you need to consider before you select the right glass pool fence for your home. Here are the factors you need to think about before you finalise your decision. Where is your pool located? You have to consider where your pool if facing. Do you live in the coastal area? Or do you live in a mountainous area? Is your pool sheltered from outside elements? These are just some of the things you need to question to help you pick out the best glass pool fence that will cater to your needs. Does it follow standard safety requirements? You have to make sure that your glass pool fence follows the safety requirements otherwise it would just be useless and you are wasting money over something that doesn’t serve its purpose. Usually the safety barrier height is around 1200mm from the top to the bottom, this is the minimum height requirement. The pool requirement depends on your area so make sure you ask around if it passes Australian Standard. At ALS Glass Works, you don’t have to worry about any of this because we make sure that we follow what is required. What is the size and area of your pool? You can determine the type of fencing structure you will need for your pool if you know the space and the size that surrounds your pool area. Take for instance; if you have a small area then you can definitely take advantage of a glass pool fence because the clear glass makes the place look larger. If you have an infinity pool in your backyard, having a glass pool fence will enhance its look and will make it look even more stylish plus it will give you an unobstructed view of the surroundings. 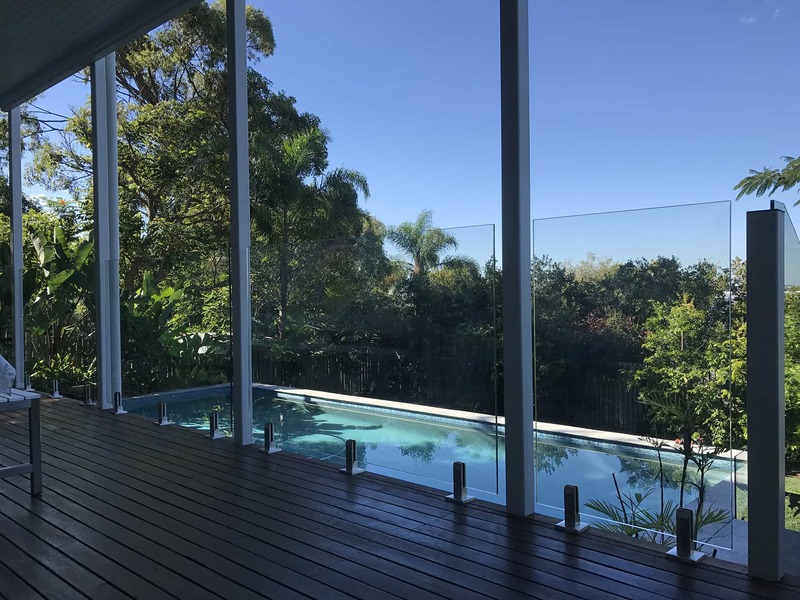 At ALS Glass Works, we are happy to offer you with various glass pool fencing options and we can work with whatever budget you have as long as it is reasonable. We have experts who can safely and securely install superior quality glass pool fences for you.